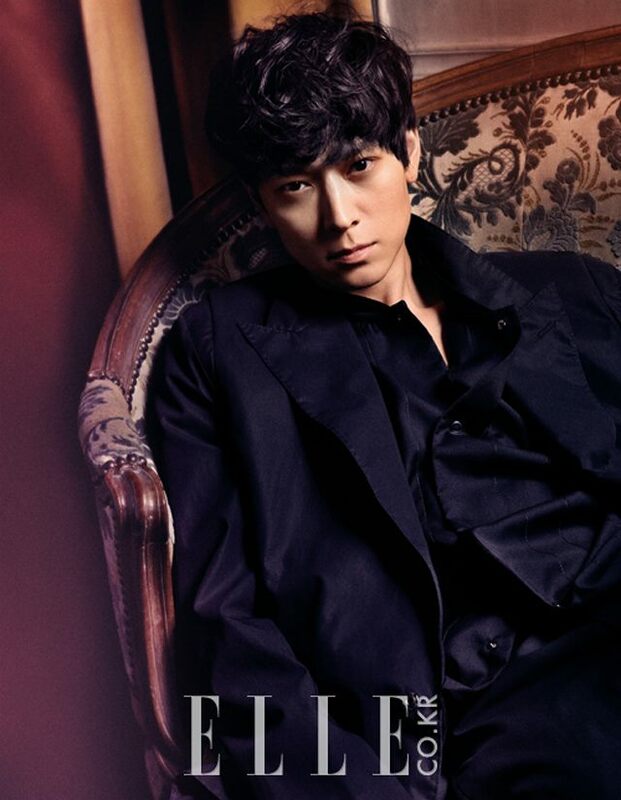 Kang Dong Won brings the smolder to the cover of Elle Korea's May 2013 "27 Most Wanted Men" issue. 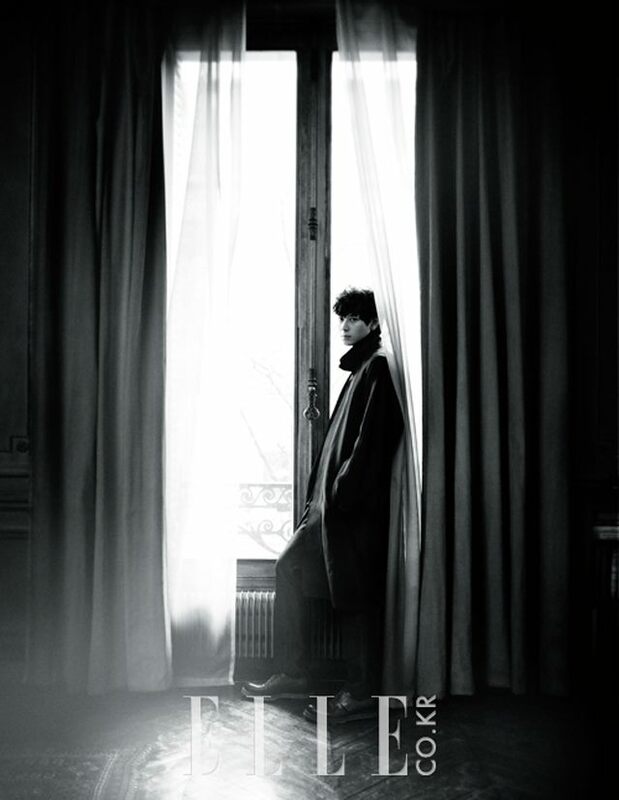 His mesmerizing charm shines on as he wears looks by Saint Laurent, Lanvin, Dior Homme and Burberry Prorsum in the editorial set in a Parisian mansion lensed by Takay. 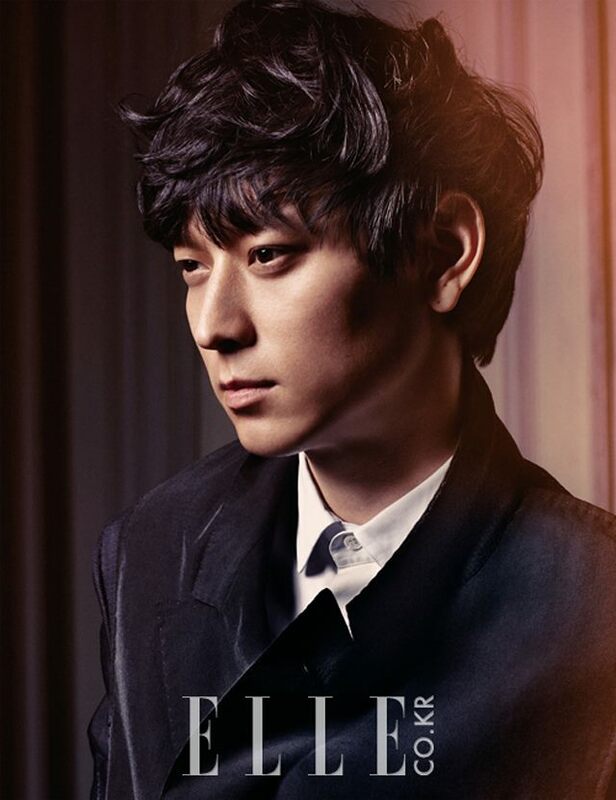 In the accompanying interview, the comely actor talks about his role in the upcoming film Band of Thieves as well as his views on fashion and his Paris Fashion Week experience as a special guest of YSL creative director Hedi Slimane, revealing that he was so excited that he wanted to rush onto the stage. 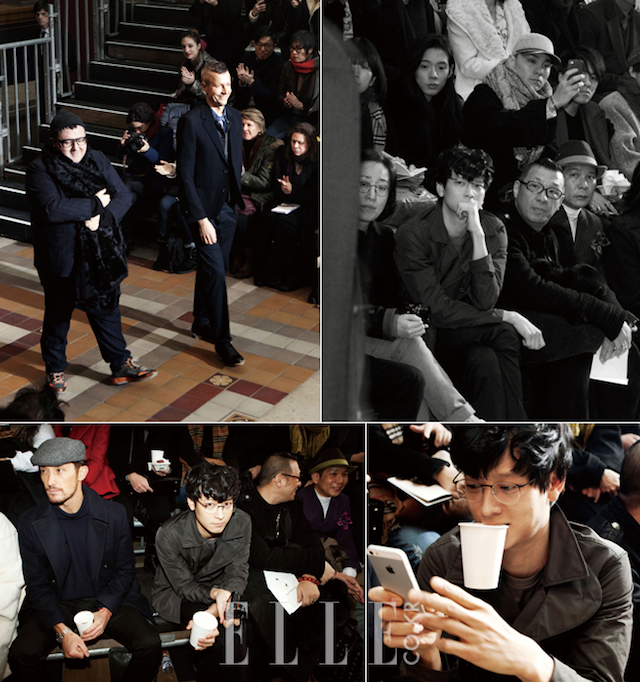 Maybe he's feeling nostalgic since he did once walk those catwalks early in his career as a model. 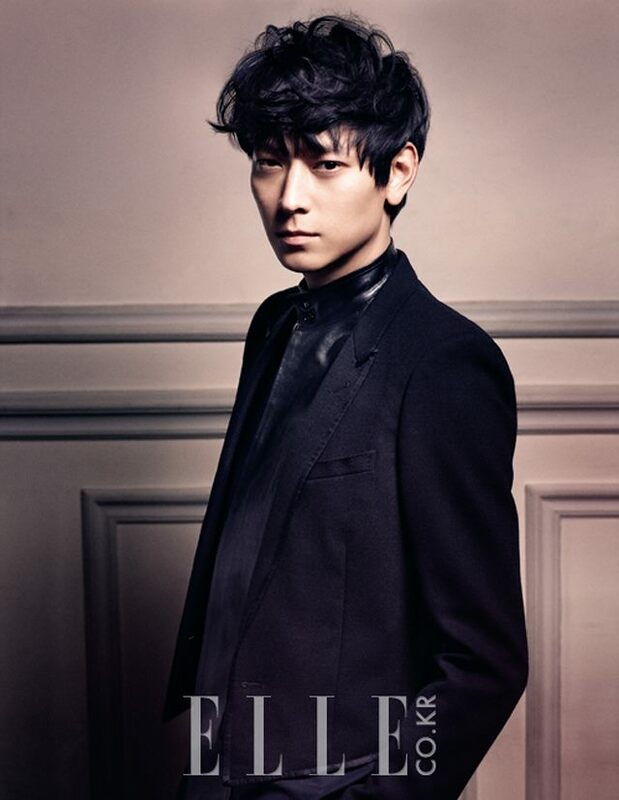 Kang Dong Won is one of a few actors I actually fangirl over for his charismatic screen presence and attractively deep voice. 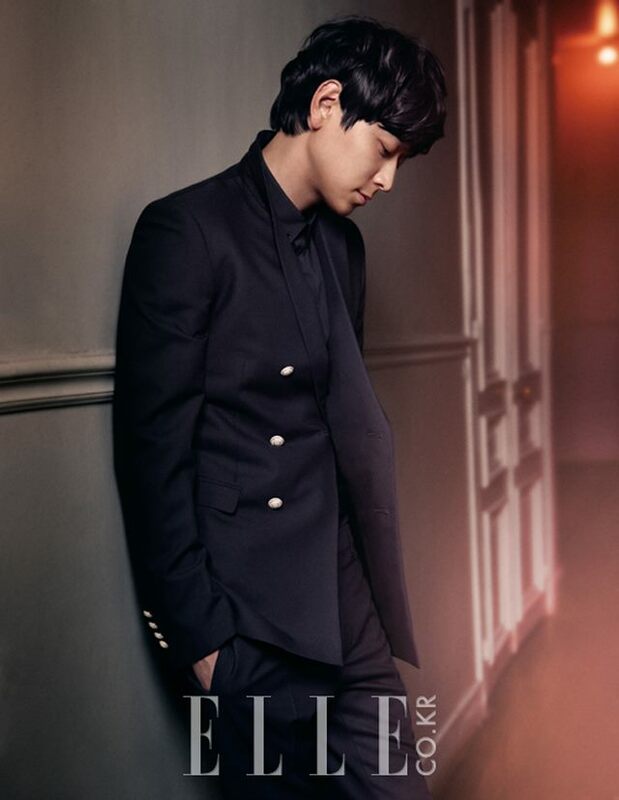 I also admire how he chooses roles that challenge his acting skills rather than just coast on his looks. 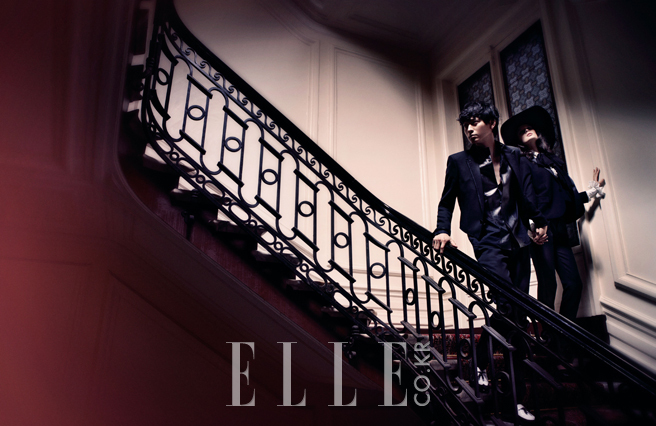 It's cool that more Asian stars are establishing relationships with fashion designers like how Song Hye Kyo and Zhou Xun were invited by Karl Lagerfeld to attend the Chanel S/S 2012 show and also appeared in The Little Black Jacket book and exhibit. Health update: I'm still battling vertigo and a touch of tinnitus now. My condition varies day to day and I'm still taking it easy. I have one more week with my wrist brace and my last physical therapy session for my shoulder is next week so there's some progress at least. Trying to stay positive seems to help. Thank you again for the continued support! Such a swish and dashing editorial, he definitely has swagger and a great appeal! 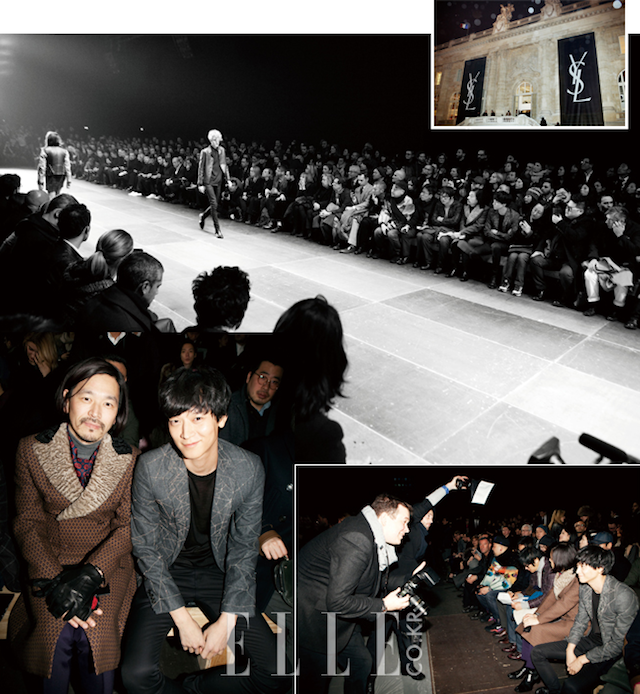 Love the image of Kang Dong Wan with the model in sequined Saint Laurent. Hope you're feeling well sweetie. He def has that smoldering look! YUM! Hi Rowena I hope you are well!!! is very important to stay positive!!! He is totally working that LBJ :) Gorgeous photos! Rowena, I am so glad you got to spend some time with your friend and that you appear to be stable. Life.. never a dull moment and your never know what's coming your way. Let's hope that you continue to improve. Have a wonderful weekend and hopefully you are getting outside to enjoy some sunshine. He really works it in front of the camera and has such great poses! Oh dear, please relax and recover. Have a restful and wonderful weekend! Thinking of you! Hope you continue to get better!! Hi dear, I am glad to hear your condition is slowly improving, its good to hear you so positive as well. Wishing you the best hun. I appreciate you stopping by, hope you have a wonderful weekend! Gorgeous editorial, he looks dashing! Good to hear you're slowly on the mend, I hope you have a lovely weekend dear... Sending you hugs. Love the cover and it's a beautiful editorial. These photos are so lovely too. He is very elegant and stylish. Hope you continue to get better! Wowie zowie he IS a hottie!! You will have to check out my post this week on a male model and artist who is having a show at a gallery here in NY. If you are up to it we should go. Hope you are feeling better. He is surely smouldering hot, great pick! He has this whole cool vibe going on! What a great model! 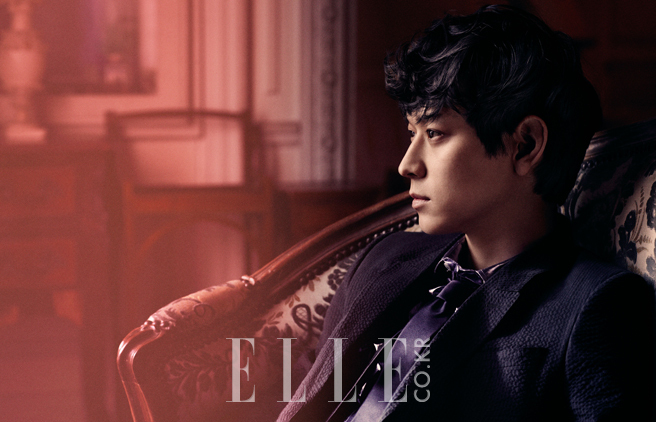 Korean stars on Elle Magazine are so hot! :) Cool feature! What a great looking man! Hope you feel better soon, Rowena. Umm, smoldering, in this case, sounds like major understatement :) He is gorgeous! Talk about eye candy :) I keep on sending you all the positive energy I can, and I really hope you'll get fit soon, sweetie! I miss you so much in the blogland! Glad to hear you're taking it easy Rowena. I hope the combination of things you are doing will get you on the mend soon. I know how it feels to have multiple illnesses and pains. Keeping up with the optimism makes everything a little bit better. p.s. the eyeglasses arrived yesterday and they look great! I ordered one for my husband and a pair of prescription sunglasses for myself. Mine had a couple scratches which I will write about, but otherwise, I'm satisfied. So this will be 3 I bought from glasseshop.com. The other pair I bought from zennioptical broke in half after 6 months. Glasseshop is the way to go! They also have great discounts. I look forward to reading about your Firmoo purchase! 27 Most Wanted Men...think I need to go magazine shopping for some of that eye candy! Love the picture in the stairs! He is pretty gorgeous! Really hope you're feeling better soon Rowena!